In the USA last week, 79-year old US Senator John McCain lashed out when Code Pink activists criticized Henry Kissinger. McCain called the non-violent protestors "Low Life Scum!" 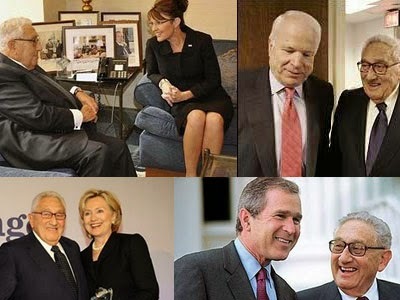 But for their atrocities in Vietnam, both Kissinger & McCain are yet-to-be indicted war criminals: actual murderers. Their politics have proved deadly, extreme & expensive.